For all the pomp and reputation that Las Vegas enjoys, in terms of sheer gambling quantity it’s got nothing on the major Australian cities. The Australian capital of Sydney boasts mega-gambling facilities that are half a dozen times the size of a football field. In fact, there’s more slot machines per capita in New South Wales than there are in Nevada. 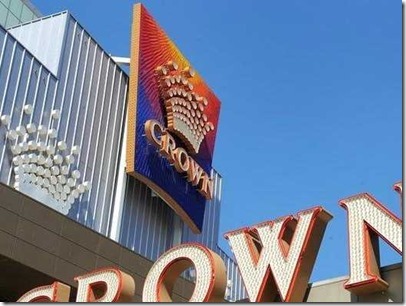 The Crown Entertainment Complex in Melbourne is the largest in the entire southern hemisphere. An ample opportunity to test their luck has made gambling Australia’s sin of choice: it brings in more revenue than alcohol sales annually. What makes your favorite rugby team’s next win better than winning a few dollars on the side? That’s the attitude that spurs major bets on big games, and since a 2008 High Court decision that allows bookmakers to operate across state boundaries, there’s been a gold rush for fans and gamers alike to try to reap the rewards of on-field success. There are a few limits on the gaming — for instance, you can bet on whether or not Cricket Australia wins a test against South Africa and by how many runs at betsafe.com , but bets on how many players will wear sunglasses have been struck down. The amount of revenue that the leagues themselves get from gaming (a cut believed to be around 5%) is rumored to have kept the NRL afloat; had the NBL introduced pokies at the arena it may have reversed its demise. Look no further than the Melbourne Cup, which pulls in half a billion dollars from gambling, accounting for nearly three percent of the annual gaming revenue in all Australia. Although it’s a good time to get involved in betting in Australia, the current craze may only be the beginning. The introduction of Internet gaming may spur a second revolution in gambling Down Under, since they have the upper hand in competing with gambling sites in Europe and the Caribbean. Since Australian law allows casinos to market their services outside the country, they can pull in foreign money from gamblers on the other side of the world who want to chance a roulette ball or a blackjack card without ever needing to leave their home. It’s anyone’s guess how much foreign money might come into Australia thanks to online gaming, but it may dwarf the $1300 gambled annually by each Aussie. When is gambling the same as investing?